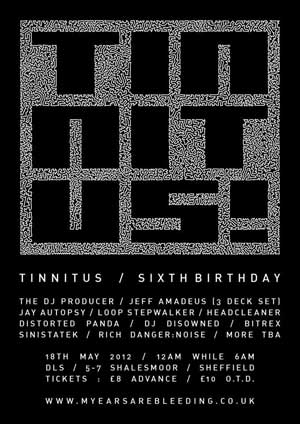 Ruff and ready live set recorded at The Tinnitus 6th birthday bash @ DLS, Sheffield (the mixer seemed to flip between stereo and mono for some reason.. you may not notice..weird?). Big respect goes out to the whole tinnitus crew for doin it harder and dirtier than anyone else in sheffield for six years and still going strong!! !.